For storage only. Fits with or without windshield and mirrors. 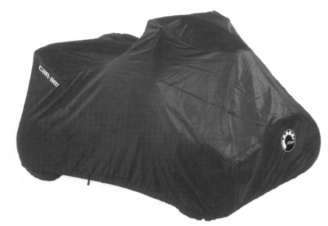 Custom-fit 210-denier heavy-duty storage cover. Not recommended for trailering. 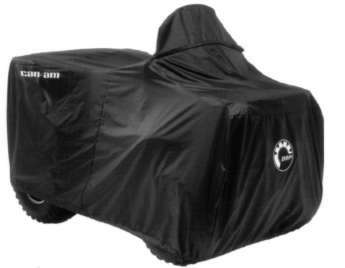 Constructed of 600-denier polyester, this trailering cover provides full-body coverage. 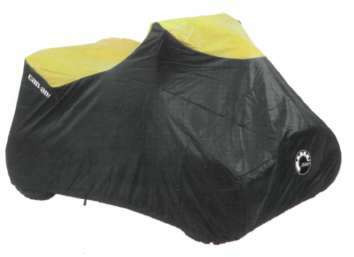 Key wear areas are reinforced; elasticized bottom holds cover in place.